My camp was at 5000' ASL on a mountain near the Canadian border in the panhandle of Idaho (Boundary County). It snowed all day on Friday and was around 25 degrees at night. I used a K2 at five watts, a Lazy-H at 80 feet for 20 meters and an 80 meter delta loop at 100 feet for lower bands. I used a laptop computer running N1MM logger which consumed much more battery power than the K2. Lots of deer and wild turkeys and a curious moose that watched me eat breakfast on Sunday morning. 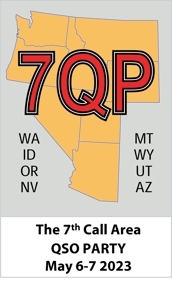 Poor band conditions and relentless competition from the super stations have me rethinking this whole QRP thing until we get some more sunspots. I got twice as many contacts in last year's contest.